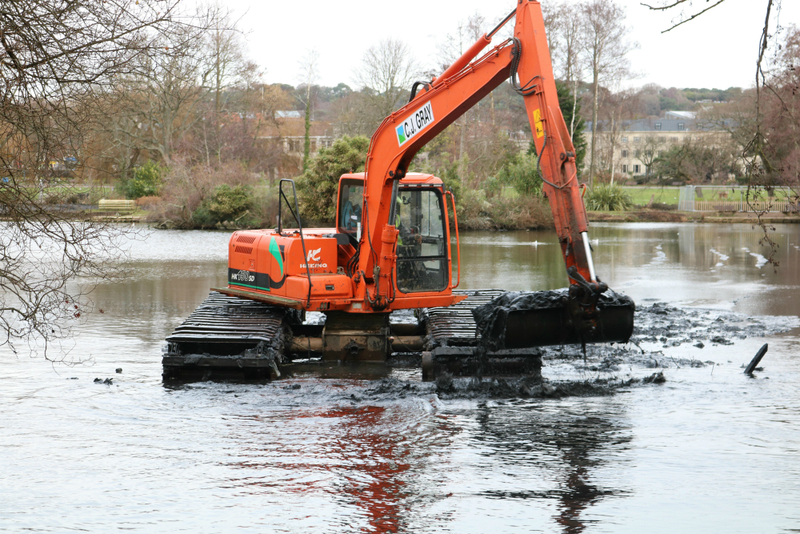 Work has begun to improve the two lakes and lagoon in Poole Park. The improvements follow extensive scientific research and monitoring, funded by the National Lottery, and involving students and specialists from Bournemouth University, to help understand the importance of the lagoon and the potential benefits of the work being undertaken. At the beginning of February, Avon Construction, started improvement works to the bridge over the sluice channel that links the Park’s lagoon to Poole Harbour. This means the path running alongside the railway line is closed to the public until the works finish at the end of March. The sluice channel was a key part in the Park’s development following construction of the railway embankment in 1872, cutting off Parkstone Bay from the sea and creating a salt-water lake. The channel maintains the link to salt water in the harbour and allows the management of the water as a sluice-controlled saline lagoon.